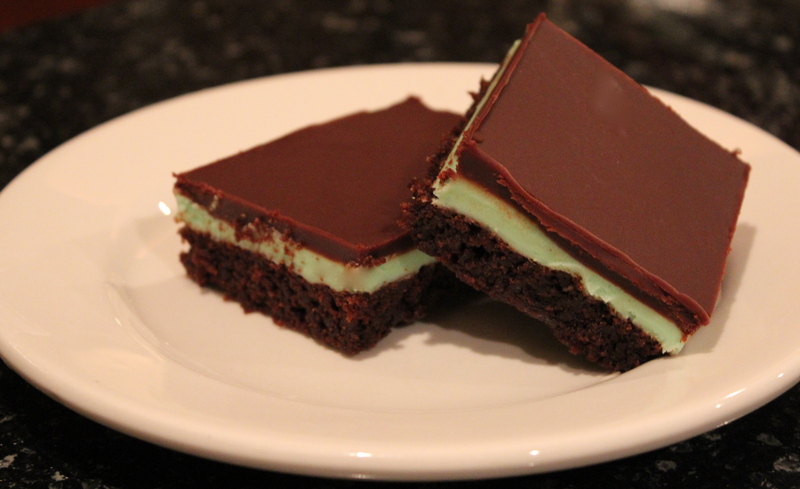 These chocolate mint brownies are nothing like drinking a dark, smooth Guinness in Ireland, but they are a festive and decadent option to serve around St. Patrick’s Day. Heat oven to 350 degrees. Grease bottom of 13×9-inch pan with cooking spray. Make brownies according to directions on the box. Cool completely after baking, about an hour. In large bowl, beat filling ingredients with electric mixer on medium speed until smooth. 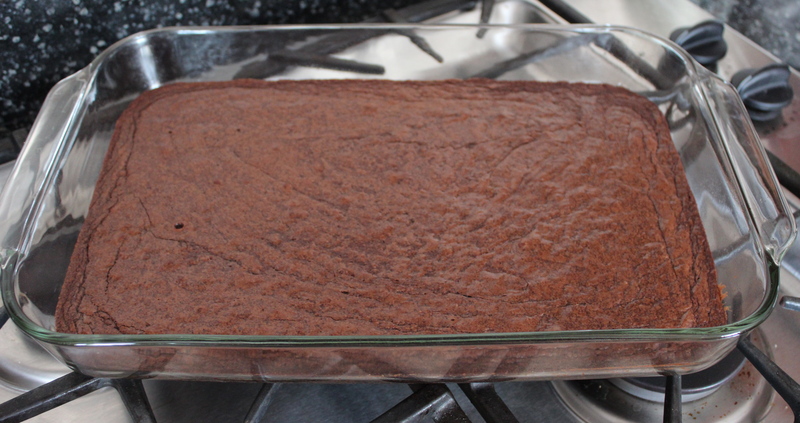 Spread over cooled brownies. Refrigerate 1 hour. I dolloped the frosting on first to allow for easier spreading. I also used an offset spatula, but a butter knife works just as well. In the end, it doesn’t matter how smooth you get the frosting because the third layer will cover any flaws. In a 2-quart saucepan, heat topping ingredients over medium-low heat, stirring constantly, until melted and smooth. Cool about ten minutes. 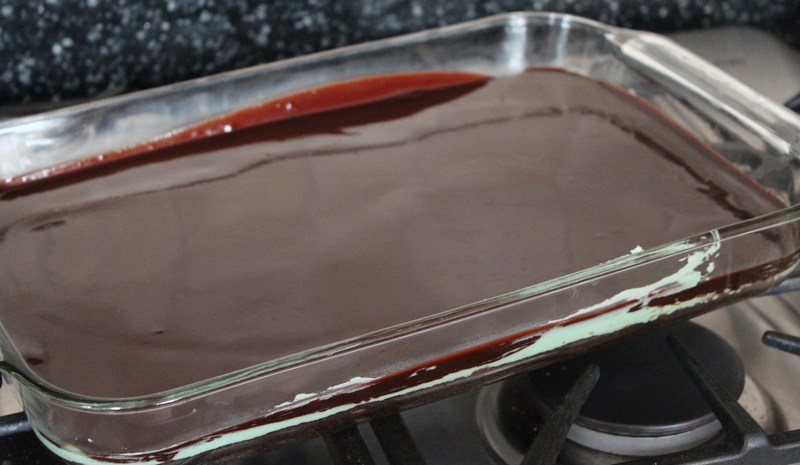 Pour topping over filling; lift pan and tilt from side to side to allow the topping to spread evenly. It will look smooth and glossy. Refrigerate uncovered about 2 hours or until set. 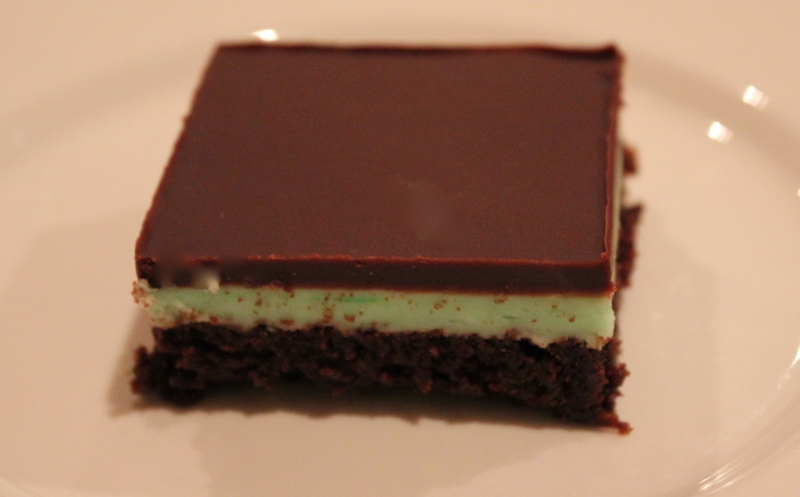 Before cutting into bars, let stand at room temperature for 10 minutes. For easier cutting, clean knife often to prevent crumbs. Store covered in refrigerator. Did you leave out some of the directions? Did not turn out well at all. Oh no! Which layer was giving you trouble? I re-read my directions and everything is correct. If anything, I added more directions from the old newspaper clipping I got it from years ago. I also added the pictures hoping that might help. Oh my…that looks delicious! I will definitley try this recipe. I am making these for sure, YUM! !